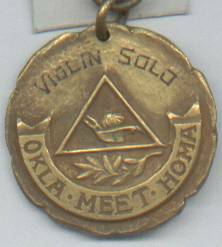 In 1923, someone won a nice little medal for a violin solo. 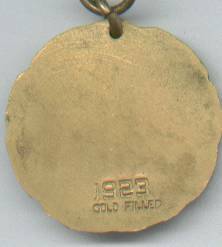 It is marked 1923 and gold filled. The medal measures approx. 1" across. The shipping fees quoted are for first class/No insurance in USA.